With all the excellent books on small group ministry on the market today, one would think the subject has been covered completely. However, the foundational basis for holistic small group ministry (a highly relational set of values) must be in place before holistic small group ministry will thrive. In this new release, Scott Boren does an excellent job dispelling the most common myths about small group ministry. What are the myths? The Relational Way by Milton Scott Boren was published by TOUCH Outreach Ministries in February 2007 and is our 46721st best seller. 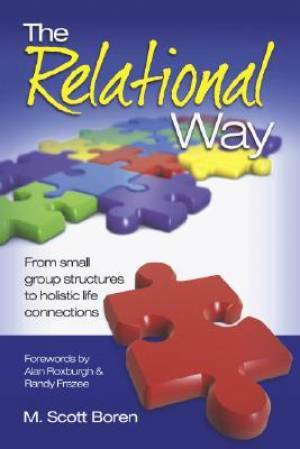 The ISBN for The Relational Way is 9780978877903. Be the first to review The Relational Way! Got a question? No problem! Just click here to ask us about The Relational Way.